This week I am thrilled to be interviewing author Rachel Sargeant. Rachel will be sharing with us detail of her writing life, telling us all about her latest book ‘The Good Teacher‘, which was released on 14th December 2018 and answering a few fun questions too. This post contains affiliate links. Rachel Sargeant is the author of Kindle Top Ten bestseller The Perfect Neighbours. 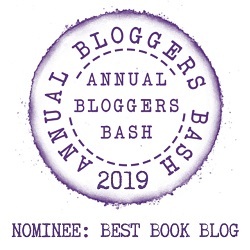 She is a previous winner of Writing Magazine’s Crime Short Story competition and has been placed or shortlisted in various competitions, including the Bristol Short Story Prize. Her stories have appeared in My Weekly and the Accent Press Saucy Shorts series. Rachel grew up in Lincolnshire, spent several years living in Germany and now lives in Gloucestershire with her husband and children. It wasn’t until I reached eleven that I found a book I liked. I discovered Judith M. Beresford books in WHSmith and read several of her Jackie and The Pony Club series. When a palm reader at a party suggested it to me in 1999. I like to get to my desk by 9.30am and usually mess about on the internet for an hour before I do more focused reading of social media. I particularly like Twitter where I see what bloggers and authors I follow are recommending to read. I get down to writing late morning and then I’ll work for several hours. Most of the time I’m editing on screen. I write first drafts long hand and try to time them for the summer so I can sit in the garden. I don’t have a daily word count but I like to complete one or two chapters. I have written eight books. Three are published and another one comes out in November. Two need editing and two are with my agent. I plot everything I do – in life as well as writing. Sadly I can’t do spontaneity very well. There were two themes that I had to research. (I can’t say what they were without giving a spoiler.) I watched TV documentaries and used the internet. Seventeen years. The book started life as a five-minute exercise at a creative writing workshop in 2001. 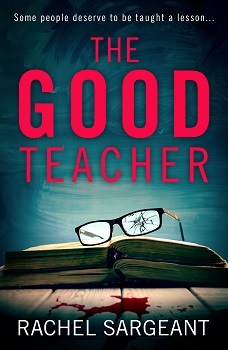 I sent back the final copy edited version of The Good Teacher to my editor on 23 August this year. My editor, Finn Cotton, came up with The Good Teacher. He homed in on the core of the book and found a title that followed on well from my previous novel, The Perfect Neighbours. Rookie detective Pippa Adams is clumsy and talkative, but also good at getting people to reveal things relevant to her enquiries. Her colleagues have her down as a bit of a lightweight but behind her jolly façade is a deeply buried trauma. An incident in her past caused her to abandon her career as a professional dancer and rush headlong into the police. Her supervisor is DS Mike Matthews, a gruff grafter with a first class brain. He has his own reasons for being wary of Pippa. They are joined by forensic scientist Steve “Clockwise” Chisholm, the station’s resident anorak with the hots for Pippa; by DI Liz Bagley, a Rottweiler in Cher’s clothing; and by dazzling DS Danny Johnson, a man with more girlfriends than Penbury has villains. Their Detective Chief Inspector is James Hendersen, a bear of a man who misses army life. And reigning over all of them is Superintendent Naomi Chattan, a political powerhouse passing through Penbury on her way to the top. It went from 5-minute workshop exercise, via Writing Magazine’s Crime Short Story winner, to a novel published in 2010. I returned to it last year to update it using the skills I learnt on my MA in Creative Writing. I sent the updated version to my agent Marilia, hoping she could find a small opening for it somewhere. I was delighted when she sent it to my editor Finn at HarperCollins and I was thrilled when he took it on the Killer Reads list. Even though I’d already done a lot of work on it, Finn helped me do more and give it a contemporary feel. The plan is to spend the next few months finishing off my current work in progress, a serial killer thriller. Then I hope we get some sunny days in the summer so I can spend them in the garden on the first draft of the next novel. This will lead into the autumn when I embark on the promotional tour for The Roommates, my psychological thriller set at a university during freshers’ week. The ability to speak every language in the world. A hippo sits on my desk. Does that count? I’d never write one. I’d bore myself to tears. I think I could be Trish, the school secretary. Like her, I’d struggle with the sound system and wouldn’t be able to see the dials without my reading glasses. I love the British seaside. I would like to say a big thank you to Rachel Sargeant for sharing with us details of her writing life and for a wonderful interview. Great interview Stacey. I love your questions and getting to know more about Rachel. Thank you. So happy you like it. Rachel seems lovely and her book is very intriguing. Perfect interview. I agree she does and the book sounds very intriguing. I always love author interviews. Great job! That blurb definitely caught my attention! Thank you. Glad I’ve put her work on your radar. Ha, Rachel must be the first person I’ve ever come across that wanted to be an archivist as a child. It’s actually rather sweet. Very unusual but lovely that a child wanted to become an archivist.